Members of the ESP Mediterranean working group participated in the First Lead Author’s meeting of the MedECC report. 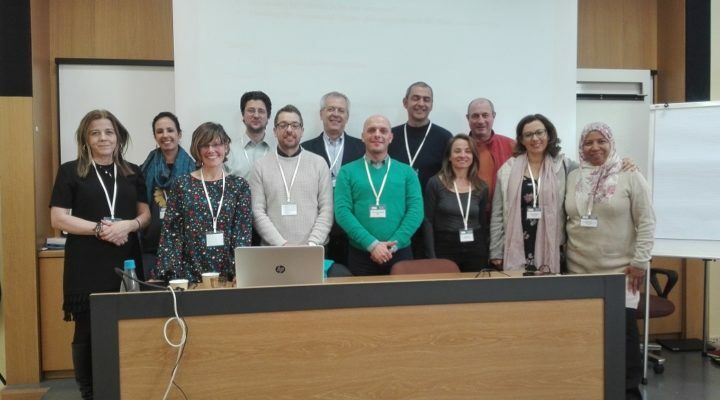 The first week of March, members of the BWG5 took part in the first lead author’s meeting of the MedECC report in Milán, Italy. The network of Mediterranean Experts on Climate and environmental Change (MedECC) is preparing a report on the current status and potential impacts of climate change in ecosystems of the Mediterranean basin using the most recent scientific evidence (there is a strong focus on the impacts of climate change on ecosystem service provision and human wellbeing). One of the main goals of this report is to bridge the gap between research and decision-making, contributing to the improvement of policies at national, regional, and local level by providing consolidated scientific knowledge and by responding to requests by decision-makers. The report will be published by the end of 2019. The MedECC network collaborates hand in hand with Plan Bleu – Regional Activity Center of the United Nations Environment Programme (UNEP) Mediterranean Action Plan (MAP) –and the Union for the Mediterranean.